This is a sample letter especially useful for Organizations and Communities who run campaigns of fundraising for the poor and needy people, families or communities who are suffering from poverty, health problems, job problems or any other hard time. 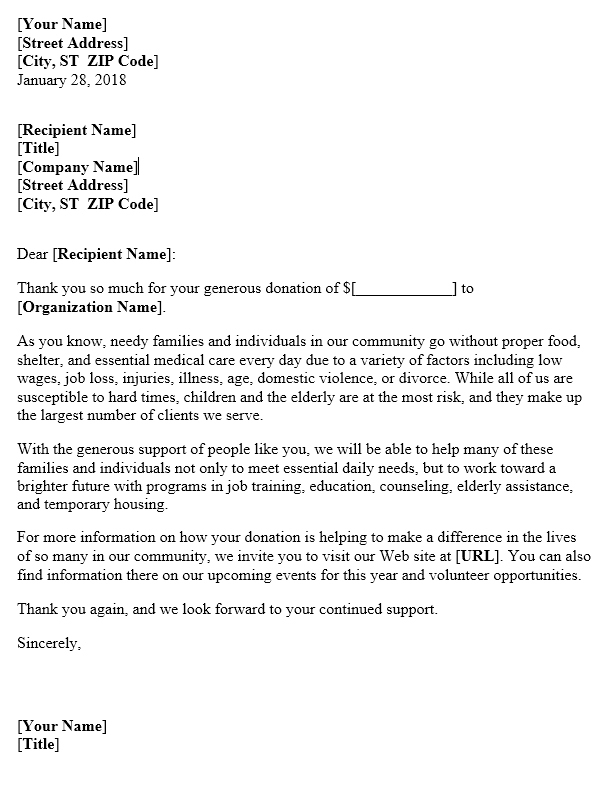 They can use this sample letter to thank you for the donations they made and to tell them where their donations are being planned to be used. With around 200 words, a very professional writing is already a part of this template, You can simply change the placeholder name, title, address and any such information with yours. Being created in Microsoft Word 2003, you can alter this letter in any text editor.